In today’s world, more of our daily computing is done on the way, and notebook computers have become an essential part of our lives. In the past, with a notebook that was flat and easy to sacrifice meant power. Not any more. Introducing the ASUS U36, the world’s first 19mm thin laptop with an Intel standard voltage CPU. Equipped with NVIDIA Optimus technology offers the absolute best of the U36 combination of performance and energy efficiency for the size. The U36 and weighs a mere 1.4 kg with a 4-cell battery, it challenges the way you think about light and compact notebook. Cache Memory Installed Size 3 MB, RAM Installed Size 4 GB RAM Max Supported Size 8 GB RAM Technology DDR3 SDRAM, HDD spindle speed 5400 RPM; Processor Number 2430m; interfaces VGA, HDMI, RJ-45, USB 2.1; USB 3.0, headphone, microphone, Data Link Protocol Ethernet, Bluetooth 3.0, Fast Ethernet, Gigabit Ethernet, IEEE 802.11 b / n / g; Battery Technology Lithium ion, 8-cell count cells; Power Device Type AC A. This machine as it stands is very good. It is light, long battery (8:30h in saving bat mode, but if you use video media it is near 4:30h), and powerful. The only downside is the HDD that comes originally, it is a 5600rpm and for my taste it is too slow. I wanted a faster HDD, but SDD are too small in storage size or too expensive. So, I went for an hybrid SSD/HDD (Seagate momentus). Changing the HDD is not difficult if you are a bit skilled and there are many tutorial videos on youtube that show you how to do it. 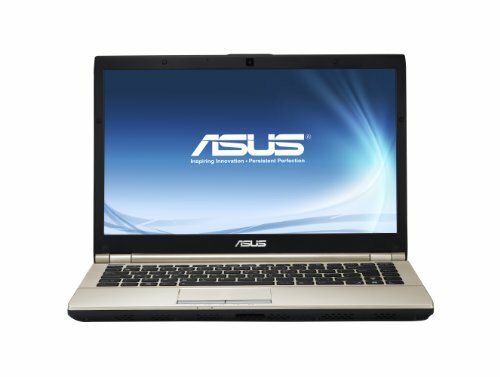 You have to open the computer because the hatch under the laptop only gives access to the RAM memory. But, as I say, it is not difficult and the change is really worth. The speed increase is very noticeable from the very first moment. The ultra-stylish compact 14-inch U46SV-DH51 notebook delivers impressive multitasking performance and long-lasting battery life for up to 8 hours1 of unplugged freedom. From Web browsing to more intensive tasks like gaming, the U46SV-DH51, powered by the second generation Intel® Core™ i5-2430M processor and DirectX® 11-compatible NVIDIA®GeForce® GT 520M graphics with 1GB video memory and 8GB of system RAM, and you get a notebook that fields serious power for every application. Featuring NVIDIA Optimus Technology, the U46SV-DH51 works like a hybrid car delivering performance and battery conservation depending on your task at hand. Under an inch thick and very light but totally durable for everything you want to use it in. That’s the wonder of the design that has gone into the U46SV-DH51, a notebook that doesn’t sacrifice performance in the name of style and mobility – it gives you all the best of every world. The newly-redesigned U46SV-DH51 offers the sheer power of the second generation Intel® Core™ i5-2430M processor in a sleek and light form factor that’s fun and easy to carry with stylish portability. You can get more done over a full day of computing with exclusive ASUS Super Hybrid Engine energy optimization. With up to 8 hours of unplugged freedom,1 the built-in ASUS Super Hybrid Engine uses both hardware and software to optimize system performance, control fan noise, and ensure long-lasting, charger-free mobility through selectable power profiles. Whether it is maximizing battery life or performance, each profile is enhanced for virtually any user scenario you can imagine—putting you in full control of the notebook. NVIDIA Optimus Technology furthers battery savings by detecting system load and automatically switching between discrete and embedded graphics. It seamlessly gives you power when you need it and energy efficiency for less demanding tasks. One is the loneliest number: the Envy Spectre was HP’s only new laptop at CES 2012. The biggest surprise of CES 2012 is not what we’ve seen here at the show, but what we haven’t. In a radical departure from previous years, several major laptop makers are missing in action, while others are showing off only a single major new product, if anything. Instead of hosting its usual giant press conference and hotel suites full of products to demo, Dell instead introduced a single laptop, the XPS 13 ultrabook. If it was going to highlight just one laptop, Dell certainly picked the most relevant one, but last year’s CES saw several systems across different categories. Dell’s sister brand, Alienware, had nothing new to show, despite scoring big at past CES events with systems such as the M11X. HP likewise stuck to a single major new laptop, the Envy 14 Spectre. It’s an innovative system with a cool design (and our Best of CES winner in the computers and hardware category), but HP’s other new laptops, the revamped Envy 15 and Envy 17, and the Folio 13 ultrabook, had already been released last month. Toshiba typically has new models spilling from its various Satellite, Qosmio, and Portege laptop lines. But at CES 2012, it only had a single product to show off, an unnamed 14-inch ultrabook prototype. One of Sony’s Vaio concept designs. Don’t look for this in stores anytime soon. Also missing in action were new systems from Sony’s Vaio line and anything notable from Asus, a company that typically brings several boundary pushing laptops to Las Vegas. Sony displayed a couple of potential future laptop/tablet prototypes under glass, and Asus brought a single new laptop, a fish-out-of-water Netbook (something that’s kind of hard to get worked up about these days). Of the major laptop makers that serve the U.S. market, only Lenovo and Samsung came through with traditional full slates of new laptops. Why the lack of new systems? Talking to the various PC makers, a few themes developed. First, the double play of Windows 8 and Intel’s next-gen CPUs is reportedly close, but not reliably dated. Any new products shipping soon face the danger of being outdated in six months, and showing off a laptop that relies on one or both of those new technologies means that full spec details and release dates are impossible to provide. Second, and more troubling for future CES shows, the big sales seasons for laptops–back to school and the holidays–are increasingly important, but don’t lend themselves well to previewing products six-to-nine months early at a January trade show. Fortunately, despite not having a high volume of specific new models to talk about, PCs, and laptops in particular, still managed to be the most talked-about part of the show, thanks to Intel’s relentless ultrabook hype. You can catch up on our wrap-up of all the ‘computers and hardware’ category highlights right here. Protect your notebook, does not mean it will be too dull or boring. 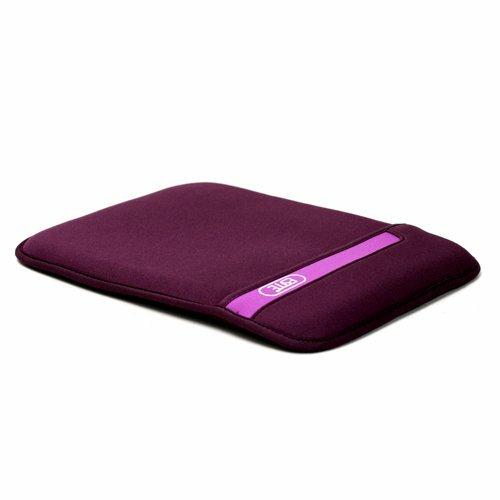 This beautiful Netbook neoprene sleeve allows you to protect your notebook, while expressing itself! With matching zippers and lining, this sleeve does note close to every detail. The rugged neoprene will protect your netbook from scratches, dust, fingerprints and damage. There is an additional pocket to hold and lead specialist accessories. Simply remove and insert your Netbook with two zippers and the slim, lightweight design! Durable neoprene will protect your netbook from scratches, dust and damage. Lightweight, ultra-slim and easy to wear all day! Additional external zippered pocket for accessories carry. One of our most popular reviews last year was of the 13-inch Toshiba Portege R705, a slim high-end laptop that managed to pack in a solid set of components for around $800. It became one of my go-to recommendations for people who liked the look and feel of MacBooks, but wanted to either spend a few hundred dollars less, or had to stay on Windows. But in 2011, the still-popular system was hampered by being stuck on Intel’s previous processor platform, while newer laptops moved to the latest Core i-series Sandy Bridge chips, which offered both outstanding performance and excellent battery life. Fortunately, the revamped R800 series is here, and not only does it add new Intel Core i3 and i5 CPUs, but it also includes a USB 3.0 port. Even better, it keeps the prices steady, ranging from $888 to $929. We’ve just gotten our hands on a Portege R835-P56X, which includes an Intel Core i5-2410M. It’s one of the $929 models, and for about $40, the upgrade from Core i3 to Core i5 seems like a no-brainer. Other than the new components, the R800 laptops look and feel almost exactly like the R700 ones. That’s a good thing, as we like the brushed metal chassis, slim design (although not as slim as the Samsung Series 9 or the MacBook Air), and light weight, starting at a hair over three pounds.